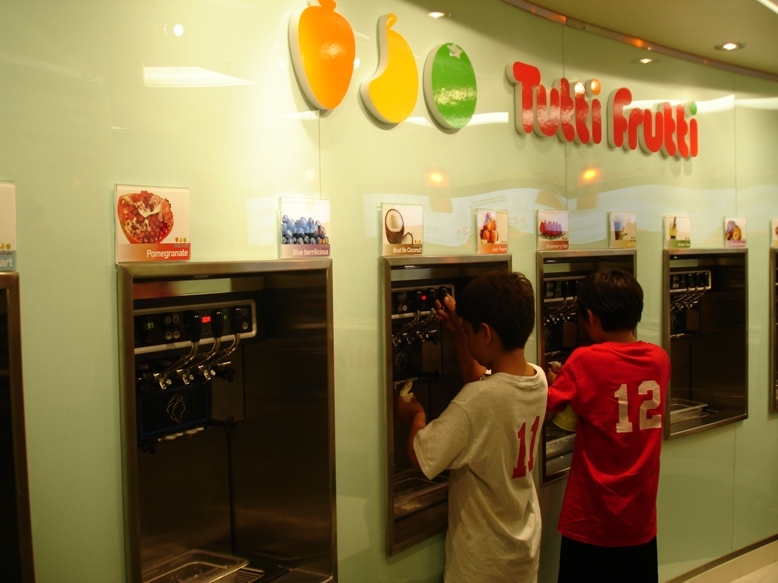 Here’s yet another franchise frozen yogurt chain, which have been popping up like mushrooms all over Hawaii. 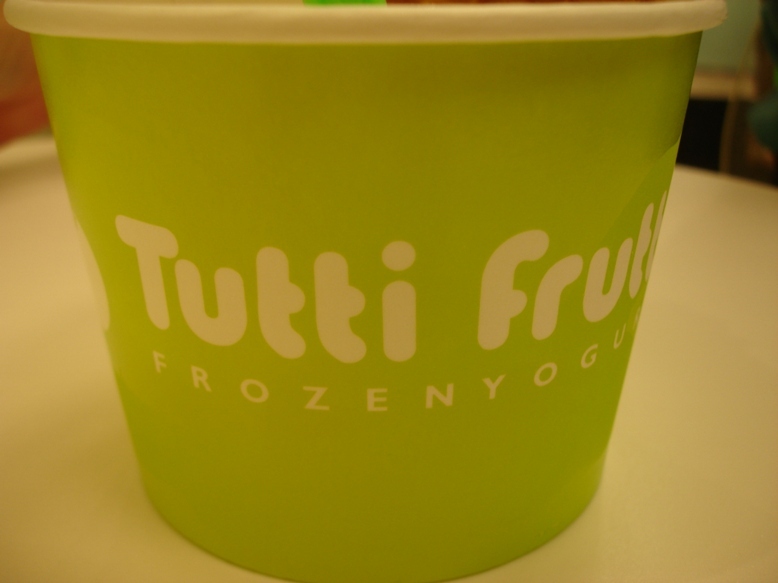 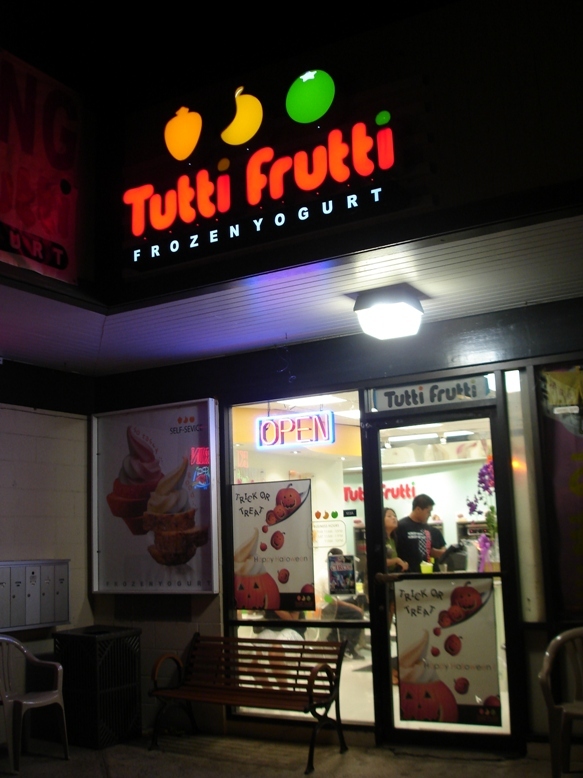 After dinner at Tenkaippin we walked over next door to Tutti Frutti for some after dinner fro-yo. 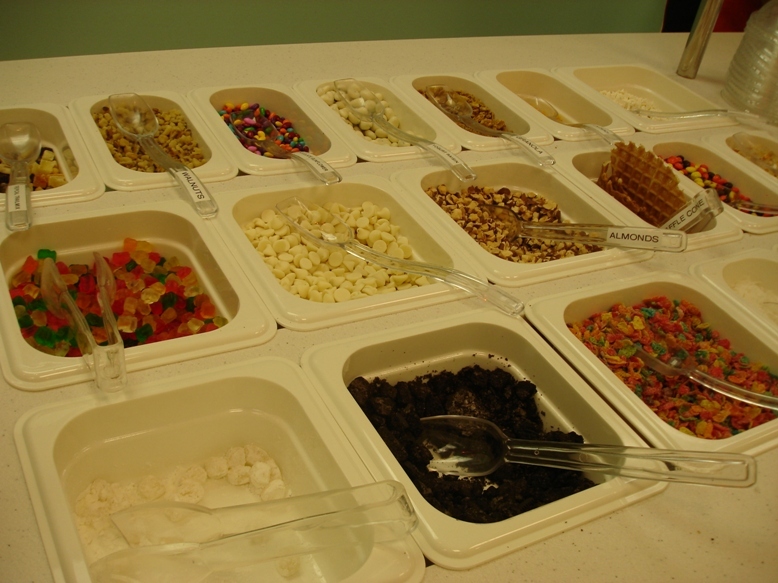 The store is tiny but they managed to squeeze in a short wall of yogurt machines and a small self-serve topping bar. 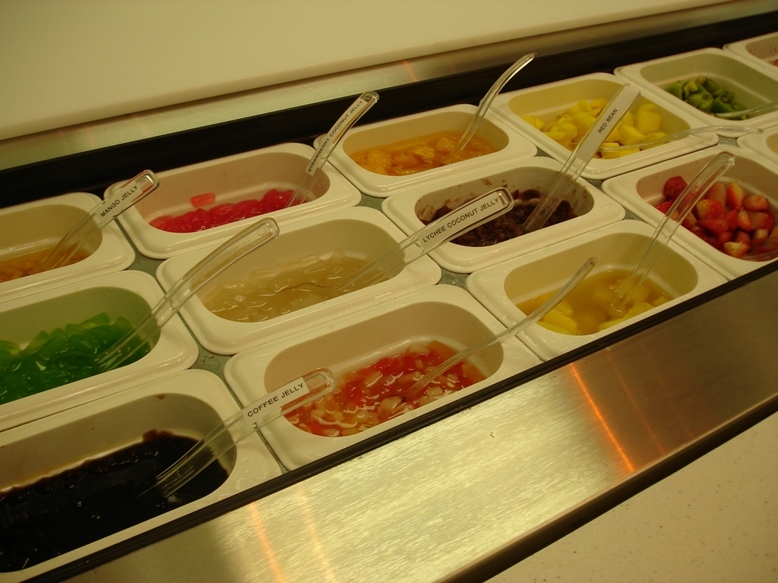 They don’t have as much fresh fruit toppings s as Yogurtland, but they do have a variety of gummy “jelly” toppings that were pretty good. 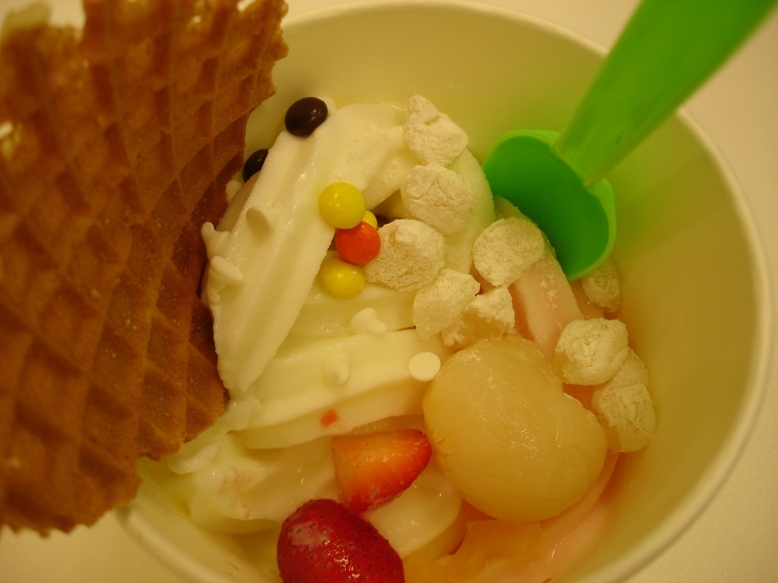 As for the frozen yogurt itself, I think Yogurtland’s is better.